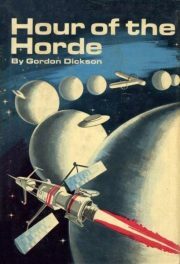 1969’s Hour of the Horde is a standalone science fiction novel by Gordon R. Dickson. Polio cost Miles Vander the use of an arm but did not dent his determination. He insists on recreating himself as an artist. So far, his efforts have come to naught. His doting girlfriend suspects that his surly isolation is to blame. Miles disagrees. 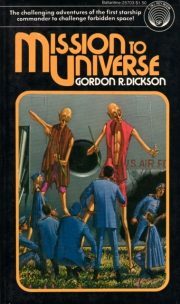 The looming alien invasion may make these differences of opinion moot.